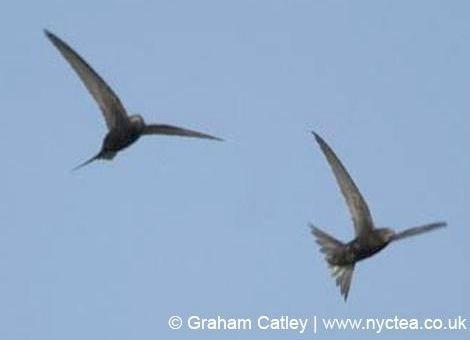 With a bit of luck one can see Common Swifts mating in flight. This is a very quick event, it's over almost before one realises what is happening. DNA analyses taken from the colony at the tower of the Oxford University Museum showed that 4.5% of all Swift chicks tested were fathered by males who were not one of the nesting pair. 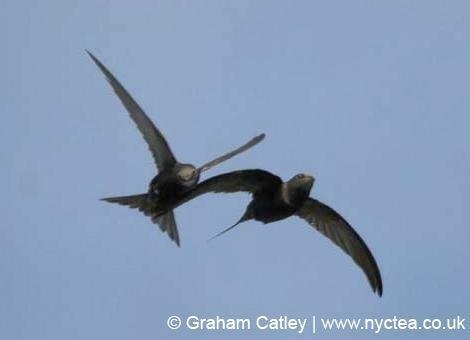 As Swifts are highly aggressive to others who enter their nest sites, it is likely that these chicks result from aerial copulation. As far as we know, this behaviour is unique in the animal world. 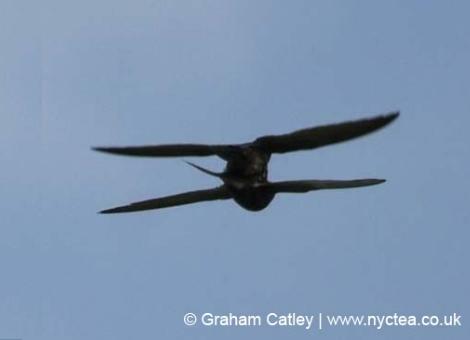 For the first time, the aerial mating act was photographed. 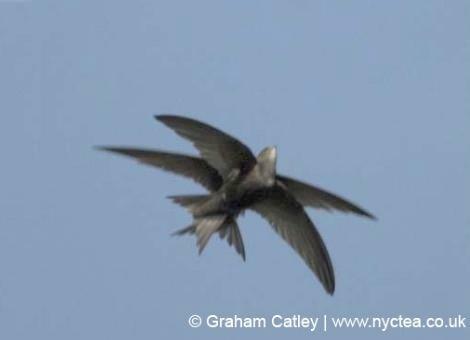 The following photos are published on the International Common Swifts Website with kind permission of the photographer Graham Catley. The tails now move into the opposite direction which gives room for the cloaks to meet. Finished? The couple lost some height during the activity and in a moment they will separate.